When in use, sound proof partitions form a flat solid wall at the right place and fold into the stacking area when not in use. Sound proof room partitions are available in three basic system types – 65, 80 and 100 soundproof wall divider. 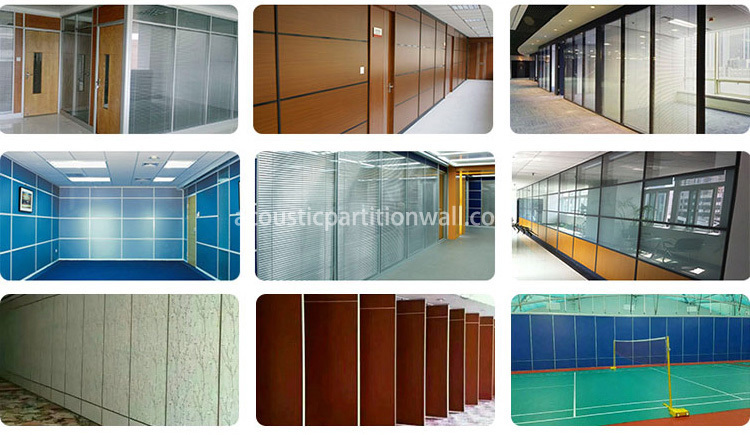 The sound proof partition material for the 3 types is similar and the main difference is thickness. The choice on the three will depend on the noise reduction requirements, the available structural support, the stacking layout and the need for access doors. The surface treatment can be plain color, wood grain, fabrics, polished wood veneer and wall papers. We also provide vision panels, glass and access doors. Sound proof partitions are usually used in schools, offices, hotels, universities, leisure centers, churches, etc., which provide a wide range of possibilities for more efficient use of available space. We will be happy to discuss your detailed requirements and advise on options. The main advantage of these sound proof wall dividers is the ability to use ceiling rails to support the floor. This is the most common specification because it avoids the need for floor track structures. This is very important for existing buildings where you don’t want floor track to get in the way. When not in use, the plates are hinged together or stacked at one or both ends. One end panel is usually an access door, which is very useful. 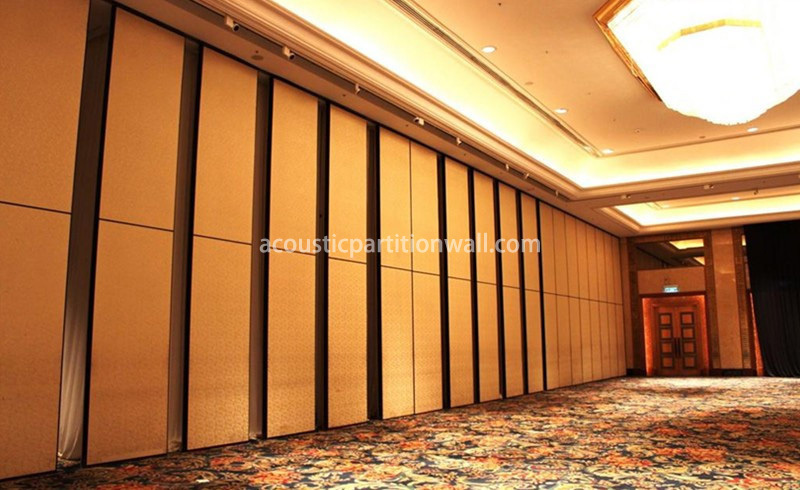 The standard soundproof partition can provide up to Rw 40 dB sound reduction. These models are flat-panel mobile partitions that offer the highest levels up to the Rw 50dB sound, with maximum layout and stacking flexibility. They are made up of single panels suspended from head rail, and the panels may be stacked at the ends of the partitions or remotely in the appropriate stacking area. Access doors are available. The sound reduction can be enhanced by moving the retractable top and bottom seals. All the sound proof partitions are customized according to the size required, from the classroom, office to large stadium and conference center.